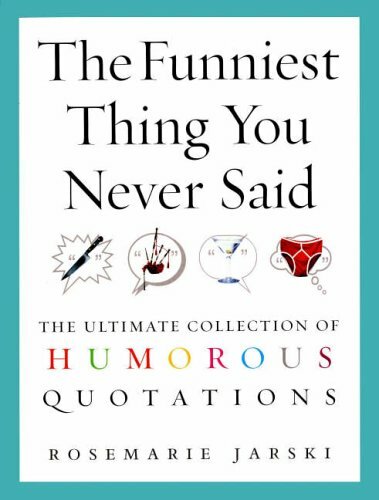 Whether for the loo or bedside entertainment or as a work of reference or self-improvement The Funniest Thing You Never Said is the biggest and best humorous quotation book there is - a complete one-stop shop of witty one liners. Quotations are ordered not by A-Z, but by thematic categories: love; business; religion; celebrity, you name it, every category is covered. The collection includes all the classics from Oscar Wilde to Winston Churchill, Dorothy Parker to Groucho Marx but also mines many new hidden gems from lesser lights and includes many contemporary quotes by everyone from Jilly Cooper to Jonathan Ross. A standard companion for new collectors, and a fresh perspective for serious quotation addicts.